Half of the fun of this breakfast was to be found in trying to hide the little raisin pouches under the milk so that I could pretend to whoever was passing by that I was having a bowl of plain milk for breakfast. Not only did nobody ever believe this, but I also got quite frustrated if I could see the shadowy form of a Raisin Wheat lurking beneath the milky surface. I remember moodily munching a few bites and adding more milk just so I could still try out my trick on an ever-suffering family member. 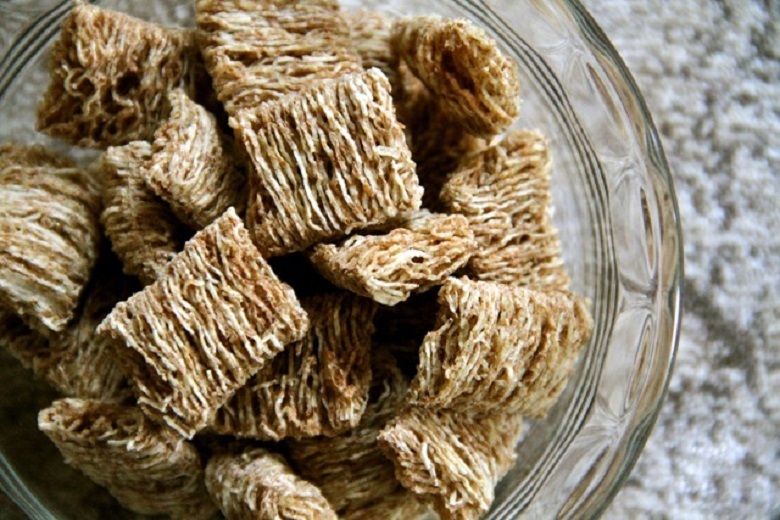 I still eat Raisin Wheats today whenever I go back to the UK and they (thankfully) taste just like they used to: satisfyingly chewy, not too sweet, filling and even a little refreshing thanks to the fresh milk. My two brothers often have a bowl of cereal with me, I think more to participate in the childhood memory than anything else. (But also maybe because they’re hungry and want to have breakfast.) I always enjoy it when they do, but I also glance slightly worriedly inside the cereal box to check there’s still enough shredded wheat left for my breakfast the next day. These brief jumps into the breakfasts of my past are invariably accompanied by my brother Marc insisting that the “proper” name for Raisin Wheats is Raisin Splitz with a z, which was the cereal’s original name before Kelloggs changed it who knows when. I think we agreed to disagree on this point some years ago, but it still comes up whenever the bright purple cereal box makes an appearance on the breakfast table.